Use BLACKFIRE APC All-Purpose Cleaner full strength as a bug and tar remover for paintwork, metal, and glass. 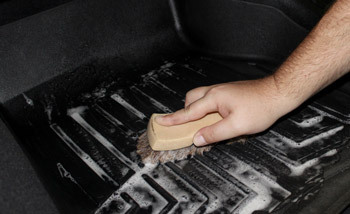 Degrease the engine compartment and remove stubborn brake dust from wheels and wheel wells. For general cleaning, dilute BLACKFIRE APC All-Purpose Cleaner 4:1 with water to clean the dashboard, door panels, and trim. 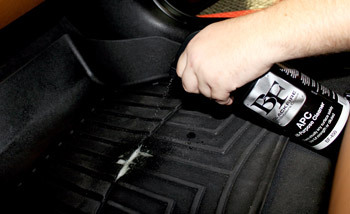 Remove spots and spills from finished leather seats. Clean plastics and paint.� BLACKFIRE APC All-Purpose Cleaner is excellent on boats and RVs, too. BLACKFIRE APC All-Purpose Cleaner is the only cleaner you need, no matter what you're cleaning.